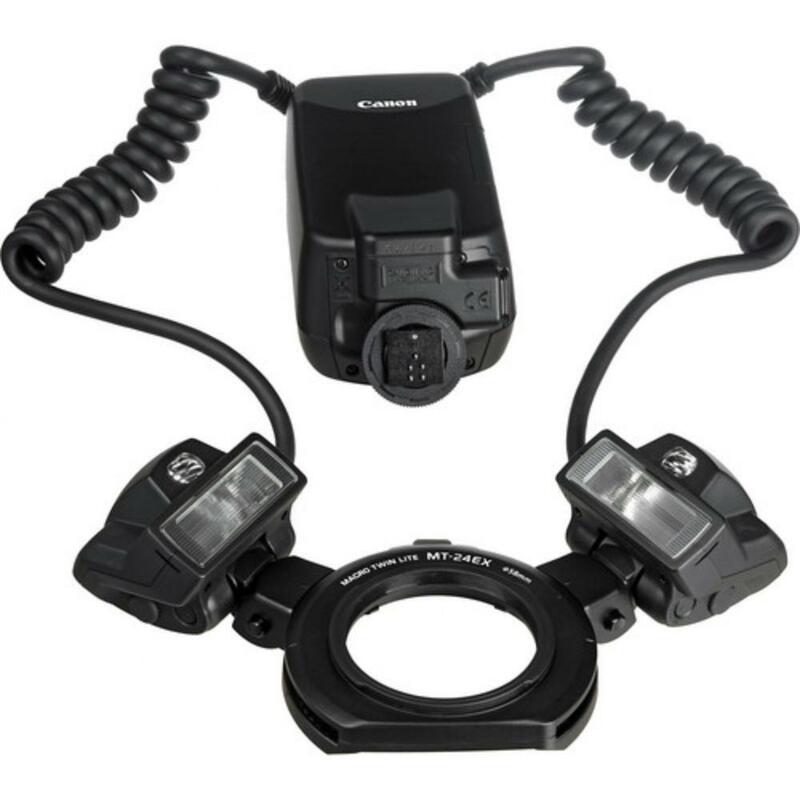 The Canon MT-24EX Macro Twin Ringlite Flash is an essential unit for macro photographers who need to illuminate and sharpen their micro scenes. Since macro photography often requires shooting with very small apertures (f/16-f/22), having a flood of light to throw at the scene helps tremendously in your effort to capture sharp, detailed images.The flashes fire at even power or can be varied over an 8-stop range for dramatic directional lighting that emphasizes the relief of the subject. Incandescent focusing lamps and 2 forms of modeling flash permit observation of lighting effects before firing. 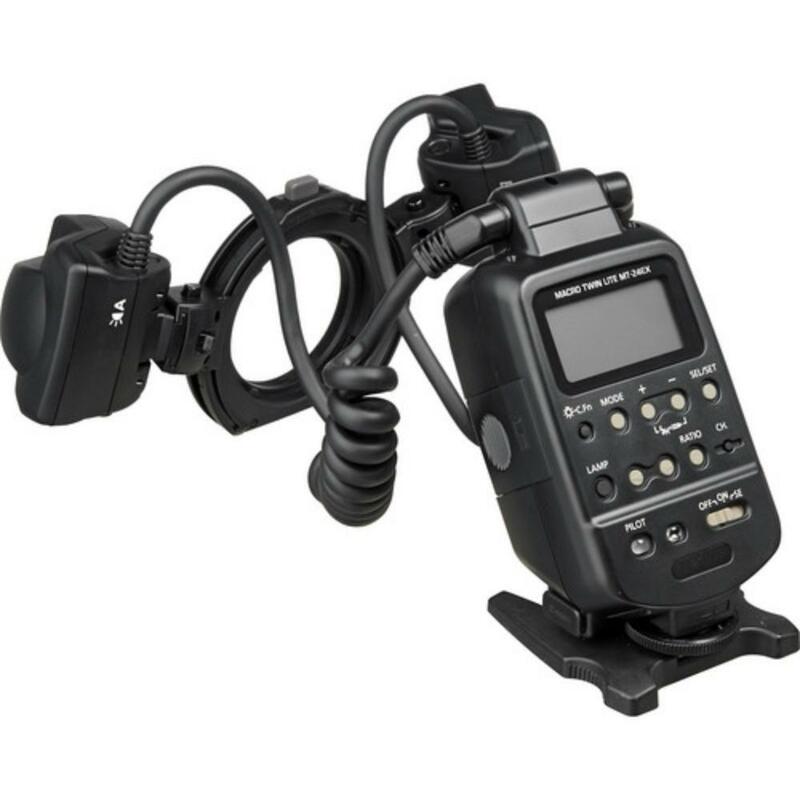 • This flash requires 4 AA batteries to operate and they are not included. • The 100mm f/2.8L IS Macro is compatible when used with the included 67mm adapter. The 180mm f/3.5L Macro is compatible when used with the included 72mm adapter.